Note that “Obesity” is mentioned as a risk and I’ll have more to say about it in part 3. A reminder to ask your doctor – I’m a patient who believes in patient education. Talk to your doctor. Please refer to the complete Risk Reduction document for details. Apply moisturizer daily to prevent chapping/chafing of skin. Wear gloves while doing activities that may cause skin injury (e.g. washing dishes, gardening, working with tools, using chemicals such as detergent). If a rash, itching, redness, pain, increased skin temperature, increased swelling, fever or flu-like symptoms occur, contact your physician immediately for early treatment of possible infection. Gradually build up the duration and intensity of any activity or exercise. Review the Exercise Position Paper. Maintain optimal weight. 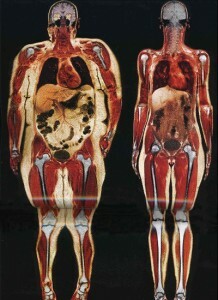 Obesity is known to be a major lymphedema risk factor. If possible, avoid having blood pressure taken on the at-risk extremity, especially repetitive pumping. Wear non-constrictive jewelry and clothing. Avoid carrying a heavy bag or purse over the at risk or lymphedematous extremity. IV. Compression Garments should be well-fitting. Support the at-risk limb with a compression garment for strenuous activity (i.e. weight lifting, prolonged standing, and running) except in patients with open wounds or with poor circulation in the at-risk limb. In part 3, I’ll show you the two kinds of leg support stockings I use and why I like them. There are many other support stockings out there – ask your doctor what she/he recommends. Also, I’ll show you several tools that aid in putting them on. Will Employee Health Incentives Work? Should They? Chris Henry is writing a story of health, businesses and employees. I could not stop myself from responding and decided my thoughts from my present patient standpoint and past small business owner belonged here too. The fact is patients are not given enough information in my opinion. If the velvet gloves are removed and employees are SHOWN (get patient volunteers) examples of life with different medical conditions caused by -smoking is one example- I’d guess a good percent of the present or wannabe employees might well change personal habits to reflect self preservation and to keep a good job. If I had a small business today and included paid medical insurance for my employees, I would have a checklist for prospective employees to answer and incentives for present employees to get in the fitness lineup. Blunt words and visual frankness works. Years ago a good friend and 30 year smoker read a Reader’s Digest article showing photos of healthy lungs next to a chronic smoker lungs. My friend told me he felt sickened and stopped smoking immediately. He also showed me the article, yet I went on to smoke another 20 years or so. Obesity is a despised condition by seemingly everyone, yet the productivity of an obese person can be double the effectiveness to the business of a ‘normal’ sized person. I once had someone tell me I needed to get rid of one of my employees because her appearance did not reflect well on my business. 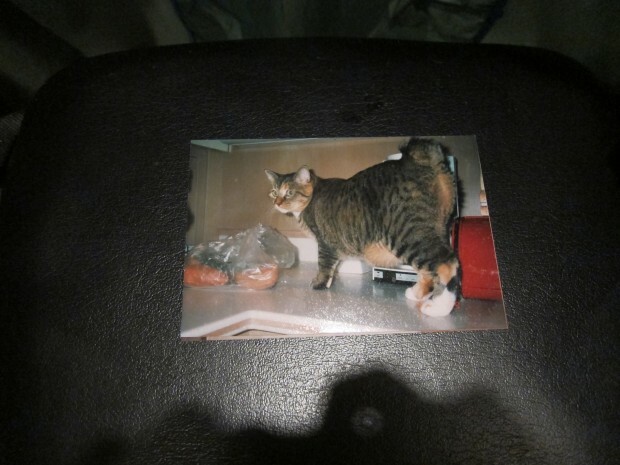 She was fat…way fat…obese…truly a genuine tubbyette. I told him I could not. For one thing, I liked her and she had worked for and with me too many years, since she finished school. She had also become the most productive employee I had. The day came when she asked for another raise. She was at capacity. She was well worth a raise, no issue there. The trouble is the way my pay scale worked I couldn’t give her one without losing money. Therefore, to give her a well-deserved raise, I figured out new prices to her clients and I became a business with two price tiers and cost percentages within the tiers. The reason for this little story is twofold. 2. Knowing what I know today about health issues, I would never have hired her based on her unhealthy size and lost out on getting to know a remarkable, artistically talented, kind, thoughtful individual. She became family.